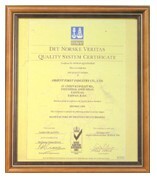 Our customers demand the highest quality and CSWW - TAIWAN delivers. At CSWW - TAIWAN, we have some of the most stringent quality controls in the industry. Our system assures us and the customer Material Control, Engineering Control, Process Control and Production Control. With QS 9000 & ISO-14001 certification, we are internationally recognized for the consistent quality of our product and our commitment to environmental protection. With a forward looking and preventive strategy that promise consistently high product quality, continual improvement is inherent in our production plan. 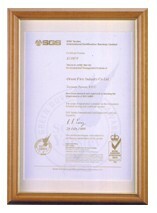 Our commitment to the environment fully complies and often exceeds government and ISO-14001 certificate requirements.